Frequent car service is an essential part of maintaining your new or used vehicle. Most important are frequent oil changes to ensure that your engine stays contaminate free and operating at peak performance. At Clear Lake Nissan we frequently assist drivers from the greater Houston, Spring, Sugar Land, and the Woodlands, Texas areas with all their auto service needs. Whether your vehicle is due for a manufacturer’s scheduled maintenance, or in need of an unforeseen auto repair, our service team is ready and prepared to meet and exceed your expectations. We’re proud to provide quick and accurate servicing for all our customers. Use our online Nissan service request form to easily schedule your appointment day or night. We’ll contact you shortly after to confirm your appointment. You can also schedule your next servicing over the phone by calling 281-601-4927 or in person at our state-of-the-art auto repair shop located in Friendswood, Texas. We treat every customer and their vehicle with intense and precise care. Whether you drive a Nissan Altima, Frontier, Pathfinder, Rogue, or Sentra, or any other vehicle, you can rest assured knowing that your car is in good hands. Our team of expert Nissan service technicians know the ins and outs of every model we sell. 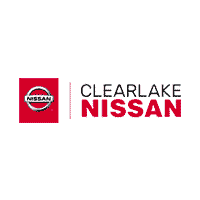 At Clear Lake Nissan we always use OEM Nissan auto parts to help keep your vehicle running like-new for many miles and years to come. Schedule your next appointment now by continuing below or feel free to ask us any questions you may have.